Regardless of whether you happen to live in a warm climate or a cool one, a heat pump can make the interior temperature more pleasant through a thermostat and a simple heat extraction process. Unfortunately, heat pumps don’t last forever, and there are several different kinds of problems that can crop up over time. The best course of action is to have regularly scheduled maintenance, however – when a problem does arise, we are here to help identify what needs to be fixed. 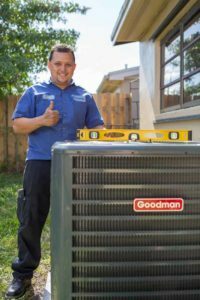 Heat Pump Repair – Servicing the Manhattan, Wamego, Junction City, KS and Surrounding Areas. Schedule Heat Pump Repair @ (785)776-5012 or Schedule Online today! Standard Plumbing, Heating, Air Conditioning is dedicated to your comfort!